Want To Beat Foot Pain? Foot pain is a common problem. 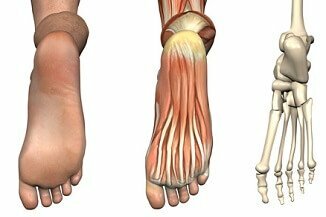 The foot is made up of 26 bones, 33 joints and over 100 muscles, ligaments and tendons. Each year we take on average half a million steps, so it’s no wonder that things go wrong. The good news is that most cases of foot pain will settle with simple treatment at home. But where should you start? I have helped countless people beat foot and ankle pain, having worked as a physiotherapist (PT) for over 10 years. The key is to understand what is wrong, why it is causing pain, how to treat it and how to stop it from coming back. Each section on foot-pain-explored contains in-depth information on each topic and will guide you through the different aspects of foot and ankle pain. If you can’t find what you are looking for, have a look at our sitemap. When Is Foot Pain Serious? Most cases of foot pain will settle down with simple treatment, but sometimes it’s worth discussing things with your doctor. Please be aware that all the information on foot-pain-explored.com is intended for general education purposes only. If your pain is further up the leg, visit our sister site on knee pain. Thank you for visiting foot-pain-explored.com. If you have any questions, do get in touch via the contact form.